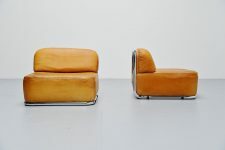 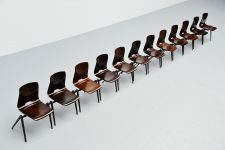 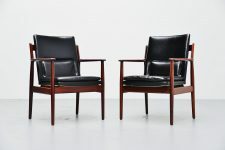 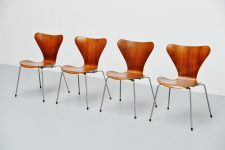 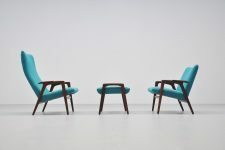 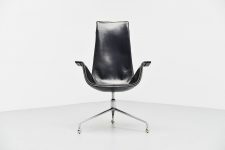 Very nice and comfortable seating set designed by Swedish designer Yngve Ekstrom for Pastoe, Holland 1960. 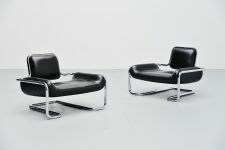 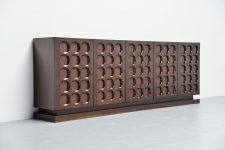 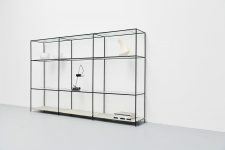 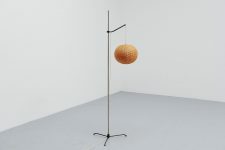 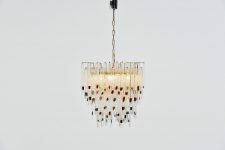 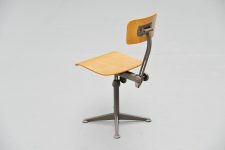 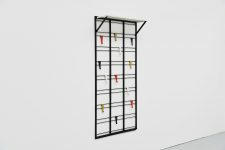 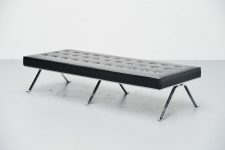 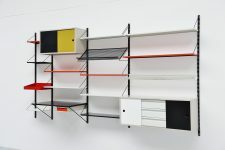 The Ruster series were designed for Pastoe and is documented in several Pastoe catalogues. 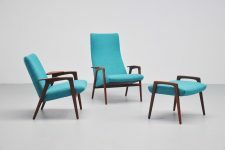 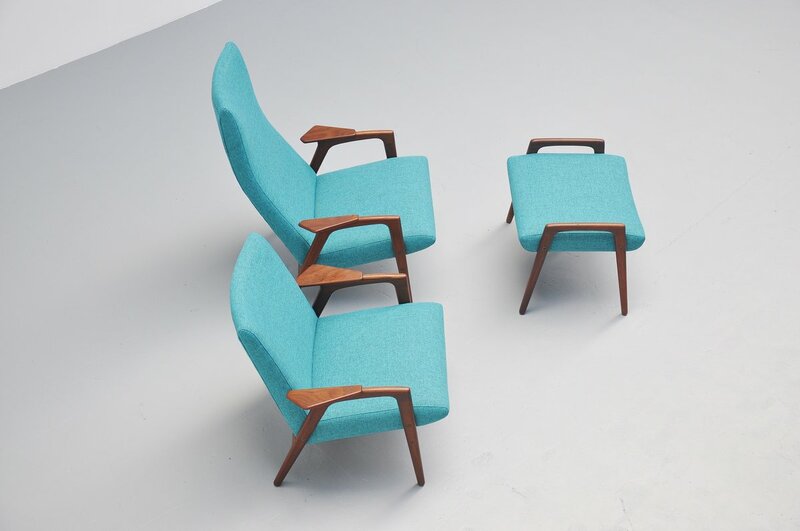 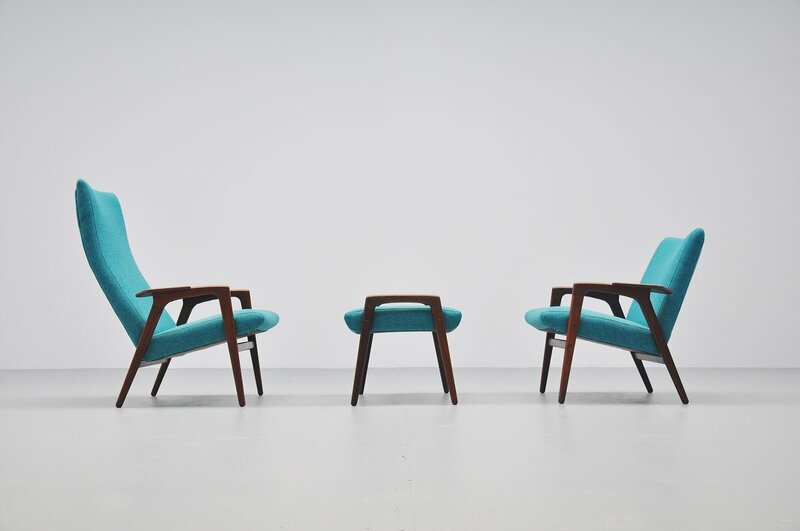 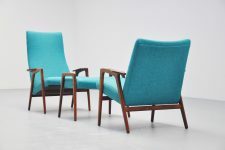 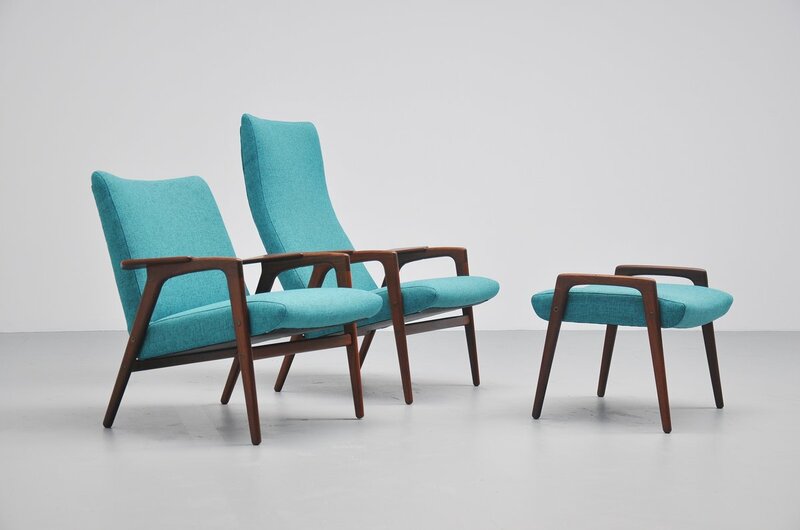 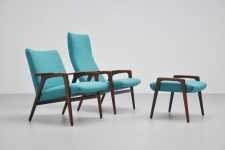 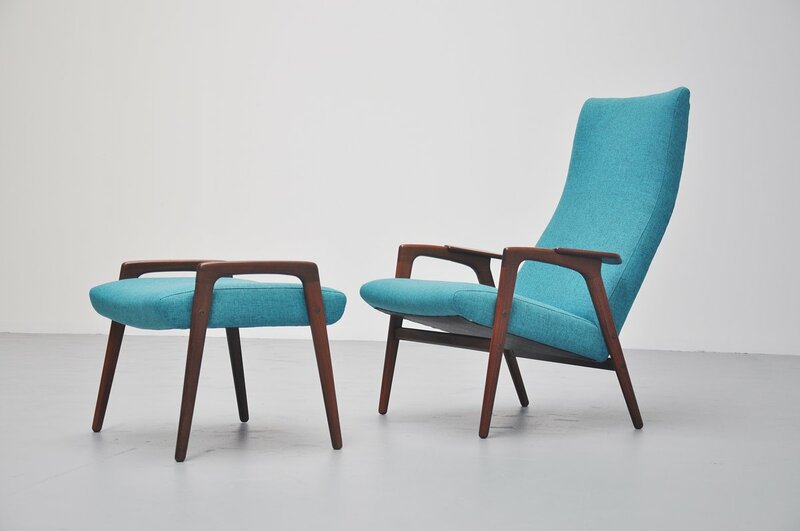 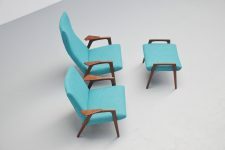 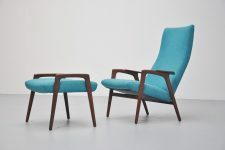 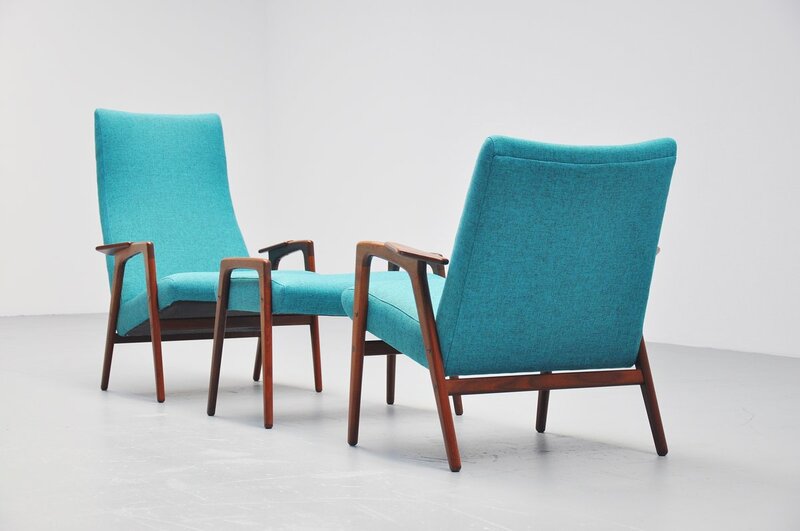 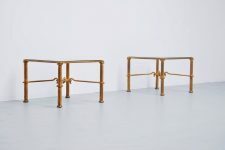 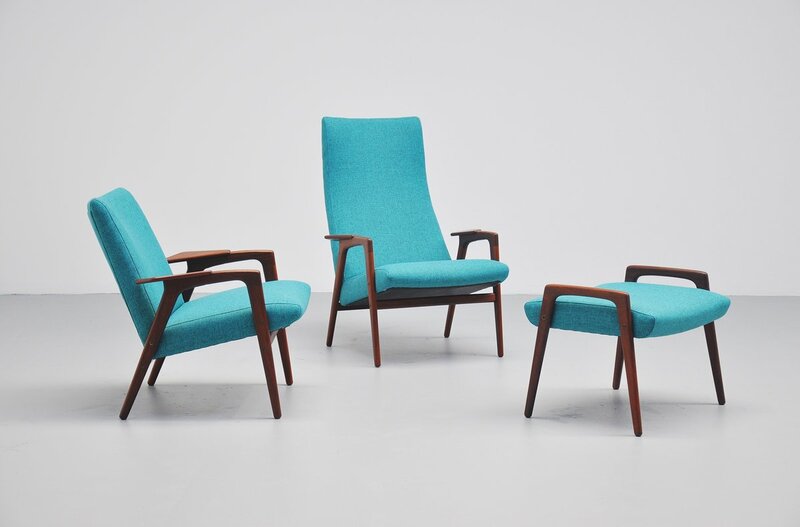 This set has a solid teak wooden frame and has beautiful new bright blue upholstery. 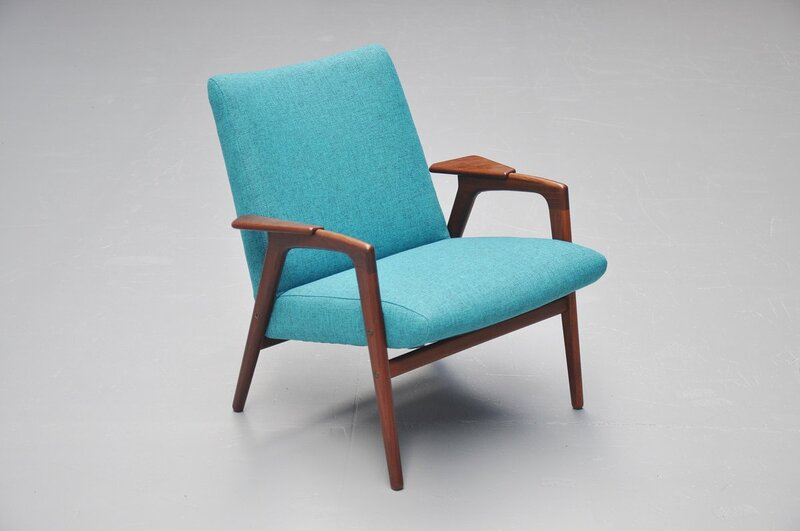 This was upholstered like it original was. 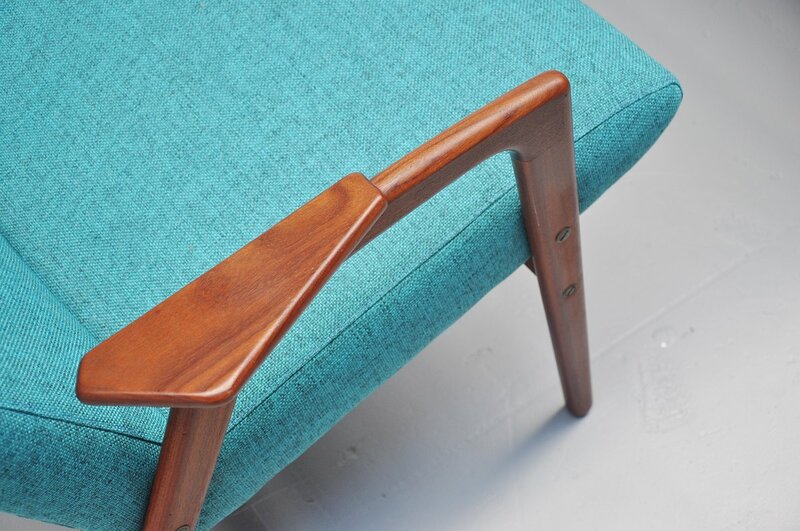 Very nice contrast with the blue and teak wood.